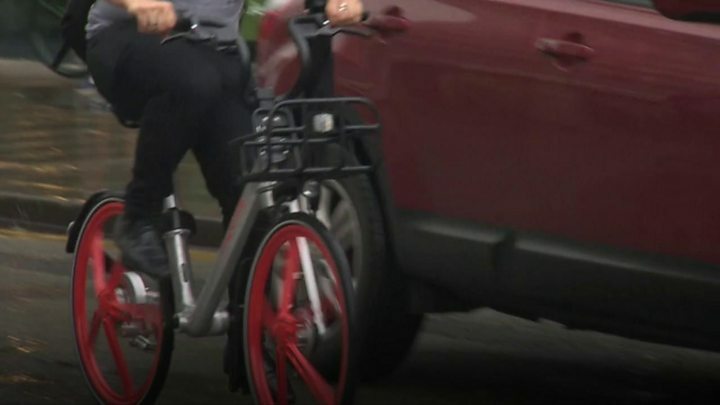 Police were called to more than 400 incidents involving Mobikes during the bike-sharing scheme’s troubled time operating in Manchester, the BBC can reveal. The global firm pulled out of the city in September after its bikes were repeatedly stolen and vandalised. New data shows police recorded 413 incidents between July 2017 and August. More than 270 crimes, the majority involving theft and criminal damage, were recorded during that time. Mobike runs its scheme – which does not use docking areas – in 200 cities around world including London, Newcastle-upon-Tyne, Oxford and Cambridge. Manchester became the first city the China-based firm chose to leave after bikes were found broken, ditched in canals and even set on fire. Mobike said it had “learned valuable lessons” from its time in the city. Chief Supt Wasim Chaudhry said Greater Manchester Police had been “committed” to working with Mobike before the firm decided to leave. Data obtained under the Freedom of Information Act shows both reported incidents and crimes recorded by the force. Police investigated all reported incidents before establishing whether crimes were committed. The incidents include thefts and damage to the bikes themselves, and also involved suspected offenders used Mobikes to get around. “Rowdy or inconsiderable behaviour” also appears frequently in the data. The force recorded 274 crimes, including 124 listed under “criminal damage and arson offences”. A further 87 bicycle thefts were recorded. 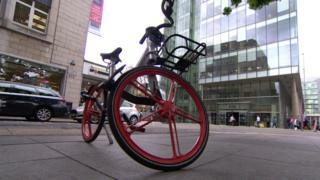 A Mobike spokesman said the firm was “very grateful” to Manchester for being the first city in Europe to host the scheme. He added Mobike and the authorities had “all learnt valuable lessons that will help cities continue to make urban life more sustainable through cycling”. Greater Manchester’s Cycling and Walking Commissioner Chris Boardman said it was “disappointing” Mobike decided to leave. Speaking in September, he said: “Anti-social behaviour is not a problem unique to Manchester.